I would like to start an engagement movement called “Less or no more misunderstandings.” As a communicator, I see that many things that are on the surface lead to conflict — due to language barriers, cultural differences, different sets of value systems. These things create misunderstanding because of lack of CONTEXT. During my travels and engagements with many people of different backgrounds and nationalities, I know, deep down, we are all the same, we want the same things, it’s just that our background shapes us and given the different stages of development of where we are, we have different opinions on how things should be. I would like to give CONTEXT a more prominent role in the engagement and communication process. Sometimes we are so rushed that we don’t stop and think of the context of the situation and make rushed decisions which leads to misunderstanding. So, more context before content, more engagement and less arguing, let’s get rid of misunderstanding altogether. 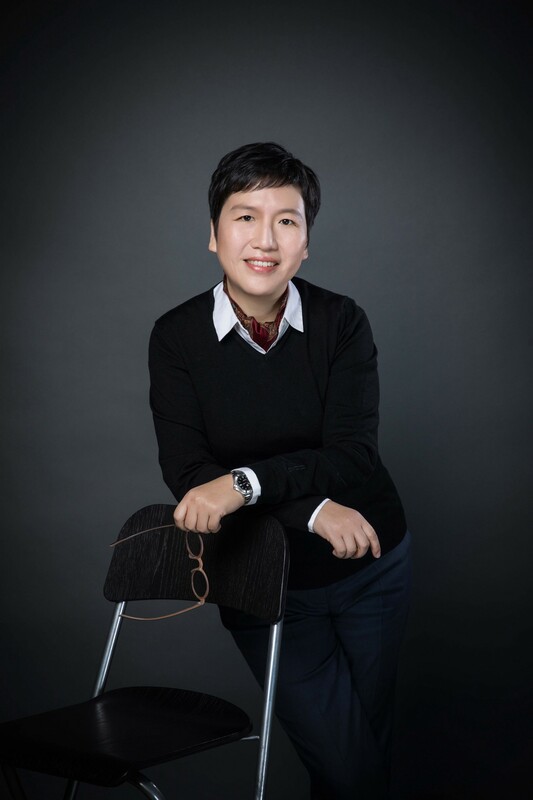 I had the pleasure of interviewing Lydia Lee, award-winning Chief strategist for Weber Shandwick China and a passionate cross-culture connector and communicator currently living in Shanghai. I am a passionate cross-culture marketer and communicator. I am also an amateur astronomer, an MBA graduate with a computing/industrial engineering background, a licensed film producer, a collector of used travel books, and on occasion, a guest on TV shows. Having mastered four languages (Chinese, English, Spanish and Portuguese) by the age of 18, I have lived in more than a dozen countries across four continents. I moved to China 14 years ago and never looked back. In 2017–2018 I was fortunate to receive several prestigious awards and recognition, including the Public Relations Professional of the Year Award, I was included in The Holmes Report Asia Pacific Innovator 25 List as well as being named one of Campaign Asia Pacific’s 40 Women to Watch. I am a Chinese from Taiwan and have lived overseas most of my life, given that my father was a diplomat. Yet when I came to China 14 years ago, despite knowing how to speak the language, I was still very much a foreigner; I had no idea of how to operate or behave. On my very first day of work, while hailing a taxi and waiting for the previous passenger to exit the vehicle, another person literary cut me off and jumped into the taxi and took off. I was in complete shock at the lack of respect and order, yet I remember what friends told me: China is an urban jungle, and that I needed to operate differently in order to survive. So, the next time the same thing happened, I literary grabbed the person and asked them to wait their turn. Needless to say the impostor (and I, at my confidence!) were shocked — but I sure got my taxi. I was quick to learn it’s the fittest who survive in China. As a marketer and communications consultant, I help companies tell their stories in order to gain awareness and build the reputation of their brand in China. Given the tumultuous times in which we live, many of my projects involve mitigating reputation issues in times of crisis, as well as helping companies cope with the rapid change of the market due to technology disruption. Every day is different which makes it very exciting! Two things: 1) Implement a fair and transparent internal process of rewarding and making staff accountable. Staff value knowing that the system is fair and transparent and benefit when they know the boundaries in which to operate. 2) Inspire your staff, show them the path forward and support them in how to get there. Also, treat them like senior partners of your business. Explain the vision so that they understand why “we need to do the things we do”. It’s not always about profit, sure, that is a result of their efforts, but engage your staff so they feel part of the bigger picture. Remember, opportunities are abundant in China and the talent fight is real; keeping your best employees is already a battle half-won. One particular person stands out — she is much older than me and used to be my client! We kept in touch after our project ended, and started a learning journey that still affects us both. I was able to introduce to her the western-way of thinking and gave her context. In fact, we watched 100+ movies together so I could help explain the types of western values depicted in the movies and where they came from and how they impact the way the western world think and act today. She opened up China for me and provided context and understanding of how the Chinese government and the Party work; the government being the administrative hand while the Party is truly the governing mind and body. Big things will come from small places and might not always bring fortune. Companies need to pay attention to consumers in China’s tier 3 and tier 4 cities, those that are undergoing tremendous development now, skipping legacy technology and going after the latest advancements. I would also suggest that instead of focusing all their attention to the “post 80s or 90s” generation, companies need to also pay close attention to those born in the 50s and 60s, what I call the silver generation. This population is huge and is making “China grow old before growing rich.” They will impact the healthcare and pharma industry, together with real estate (retirement homes mushrooming in China), as well as travel/hospitality, etc. I suspect that very soon there will be a battle of resources between the two generations. “This too shall pass.” Be on the alert, be cautious, yet don’t let the war disrupt your goals. Be transparent and don’t be afraid of speaking the truth. We are in an era where people value authenticity. Go back to your company’s values — these sentences that you or the founder wrote are the north star during uncertain times. Don’t just put them on a website — act and live out what your company believes in, let your employees know and bring them into the action. We are in the PURPOSE-DRIVEN era. The WHY you are doing what you do becomes even more relevant and important to be communicated. And it may well be your key differentiator. Rather than default to the macro tips (which can be found in many sources), I want to share five micro tips for successfully doing business in China. 1. Titles can be misleading — Anyone who has attended a business meeting in China will know the “business card exchange” is very important. It serves as an icebreaker and allows you to share your name and learn your Chinese counterpart’s name — and pronunciation! However, don’t be misled by the titles on a cards. Many times the translations are not correct, and/or out of context. For example, Assistant to the Chairman is not really the Chairman’s Personal Assistant or Secretary. Instead, that person is often the Chief of Staff, someone of tremendous influence around the Chairman. 2. Dinners are part of the negotiation process — Local knowledge says, if you are in Beijing, you will have the dinner before the final negotiation and contract signing, as the Beijing business partner will want to leverage that social occasion to watch you more closely, to get a better idea of who you are in social settings. If all goes well during the meal, they will move to the next phase quickly. While in Shanghai, however, all things are done BEFORE heading to dinner, as dinner is considered an occasion for celebration and to build further trust. Just one dinner, before and/or after, shows the difference between Beijing and Shanghai. China is not one market, it is comprised of many smaller markets, and each of them have unique local characteristics. 4. Don’t presume: ask, test and adjust — This is a mistake I see a lot companies committing: something that worked well in other parts of the world is then copied and pasted into China. Never presume that something that worked elsewhere is going to work in China. China is just different. You saw from the dinner example — even people in Beijing and Shanghai behave differently. What you can do instead is ask questions; ask your local staff, partners and/or reach out to consultants. And asking the right question will most often take you to the right path. Then use some budget to create a pilot program, test your theory and see how it fairs, and be always adjusting. The China market changes so quickly and nothing is constant anymore. Plus, the sheer size of the market makes things even more complicated. For example, I will often advise my clients to do small pilot programs on popular social platforms like Weibo, Wechat or Tmall. “Adjust along the way and then take it to full force.” Many companies now do this type of guerrilla approach and have ditched their yearly planning models and have moved to a nimbler approach. 5. Don’t just translate, give CONTEXT — Things do get lost in translation. Many times, translators will just directly translate what’s on the table. That’s not their fault, they’re just doing their job. Yet, many times Chinese speak with more meaning attached to their words and unless you understand the lexicon, the logic and context of the conversation, you are only scratching the surface and may miss the whole point. The best way to do business in China is to have someone on your side who is more than just a translator — someone who has experience on the other side so he/she can give you the necessary CONTEXT. I recall one time, my client, a prominent American entertainment producer, wanted to bring a famous Broadway show into China, and told its Chinese partner all he needed to do was to secure a theater and people will come and see the show. After all, it was an award-winning Broadway show and that’s how it was done in New York. Yet the producer did not understand why his Chinese partner was asking for so much information about the show, the awards it won, the celebrities that performed in it, the significance of that show in the Broadway lexicon and history. Without context, the Chinese promoter couldn’t position the show against all the other competitive shows, and Broadway was not a familiar name in China at that time. So in this case, the WHY became even more important. CONTEXT is something we don’t usually talk about and thus it doesn’t get translated, yet it is often the most important piece of information to bring both the reader and the business onto the same page. “Anything is possible so have an open mind.” Having lived in dozens of countries and interacted with a variety of people with different backgrounds, having seen situations of unimaginable challenge and watched humans overcome them, anything is possible, and solutions can come from anywhere, and from anyone. An open mind is very important, and what’s more important as a communicator and marketer, open minds need to lead to imagination and a solution-driven approach. This quote has helped me navigate the complex market of China, in times of complexity and constant and speedy change. And it has never failed.